Budget 2018: Arun Jaitley has made no changes in income tax slabs for individuals this year. But all salaried people will get a standard deduction of Rs. 40,000 on their income in lieu of medical and transport reimbursements. Budget 2018: Finance Minister Arun Jaitley held a press conference after presenting the budget. 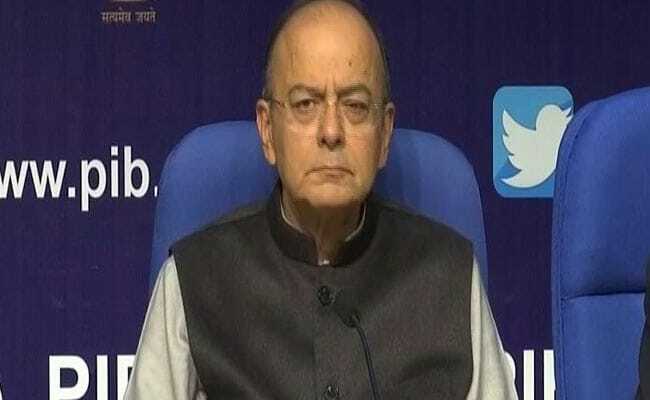 New Delhi: Finance Minister Arun Jaitley and his team of ministers and secretaries held a press conference this evening after he presented the Union Budget 2018. The budget focused on farmers and the rural poor, while boosting jobs and private investment. Chief Economic Adviser Arvind Subramanian also spoke to the media.